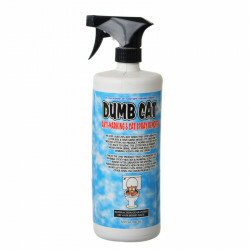 Welcome to the Cat Stain & Odor Control superstore! 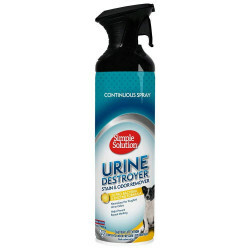 As fun as cats are to have around, all of us cat lovers eventually have to deal with the elephant in the room: sometimes kitty makes a mess! 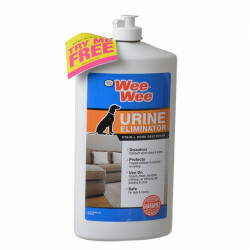 Odors and stains from a cat's errant urination or feces can seem like the end of the world (especially when you cat did the deed right on the new carpet), but there is always a solution! 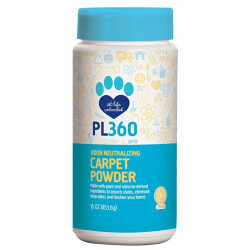 At petmountain.com, we have a huge selection of tried and true solutions that use extra-strength natural components to eliminate the stain and smell of your cat's mistakes right away. 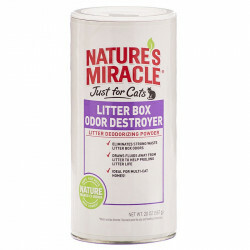 Pet Mountain's Cat Stain & Odor Control store features top quality products from the most trusted names in cat care and pet mess cleaning supplies, including Nature's Miracle, Fresh 'n Clean, Simple Green, Poop Off, and more. 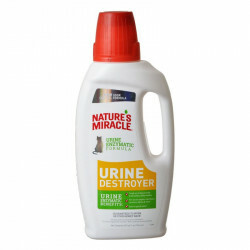 Our low price leader, Nature's Miracle Advanced Dual Action Orange-Oxy Power Just for Cats Stain & Odor Remover is a fast-acting super-oxygenated cleaning formula. 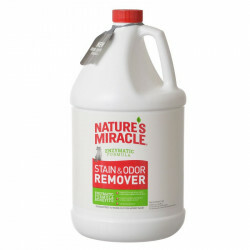 It instantly activates to permanently remove the toughest stains and odors. 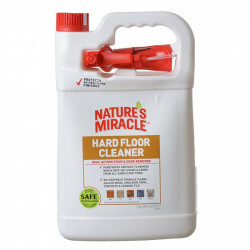 This special formula is ideal for refreshing dull and faded carpets, bringing out brighter, newer look, and even brightens/whitens grout on hard floor surfaces. 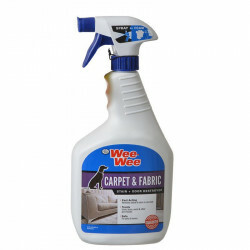 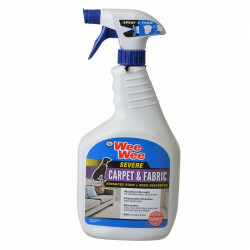 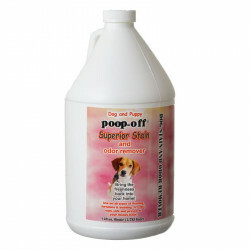 Its deep cleansing ability removes stains and odors completely to avoid re-soiling. 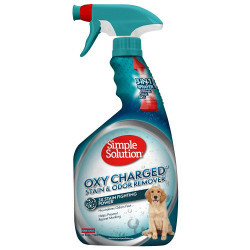 If you're looking for a great deal, our Fresh 'n Clean Oxy Strength Cat Odor & Stain Eliminator uses OXY-STRENGTH technology, a special oxygenated compound, that starts working instantly to remove pet stains. 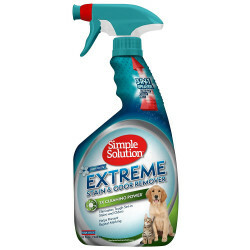 Specially formulated with Arm & Hammer deodorizers, this easy to use spray delivers safe and effective odor elimination, leaving your home fresh and clean. 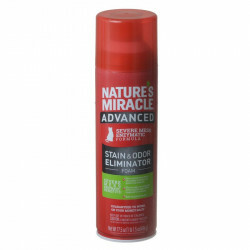 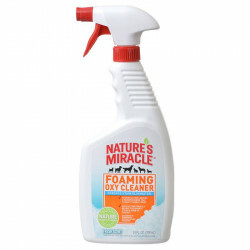 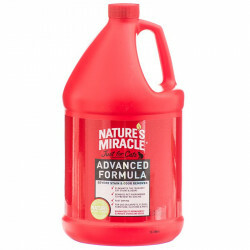 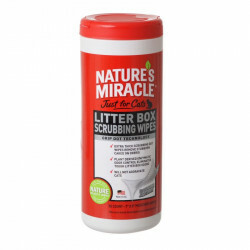 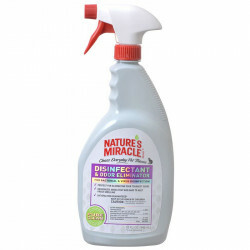 Our discounted Nature's Miracle Just For Cats Advanced Stain & Odor Remover is the most advanced Nature's Miracle formula made for tough cat urine stains and odor, and incorporates the best performing cleaning technologies. 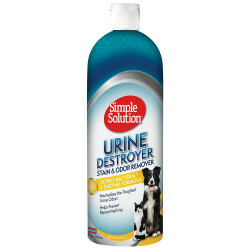 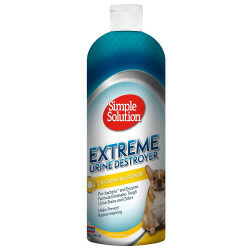 This formula deeply cleans to remove all pet mess traces, discouraging the spread of unsanitary pet waste. 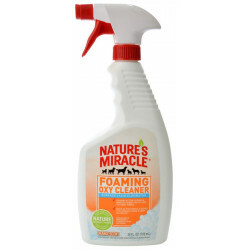 Nature's Miracle's Pet-Block System removes pet pheromones and destroys odors on contact to prevent re-soiling.